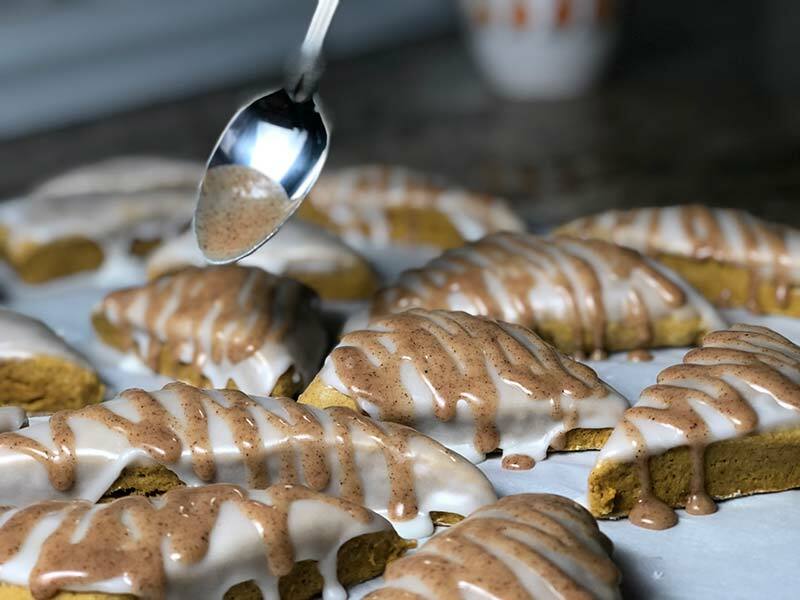 These mini pumpkin scones may remind you of the ones they serve at Starbucks, though you may come to find that you like these ones even better! 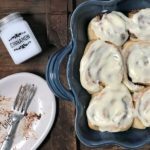 Topped with two different types of icing, these scones are simply scrumptious. Mini scones are great because they can be eaten as a snack—though you’ll probably have a hard time keeping yourself from eating more than one. 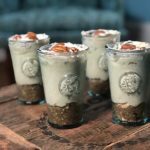 This recipe is really the perfect autumnal treat for any occasion. 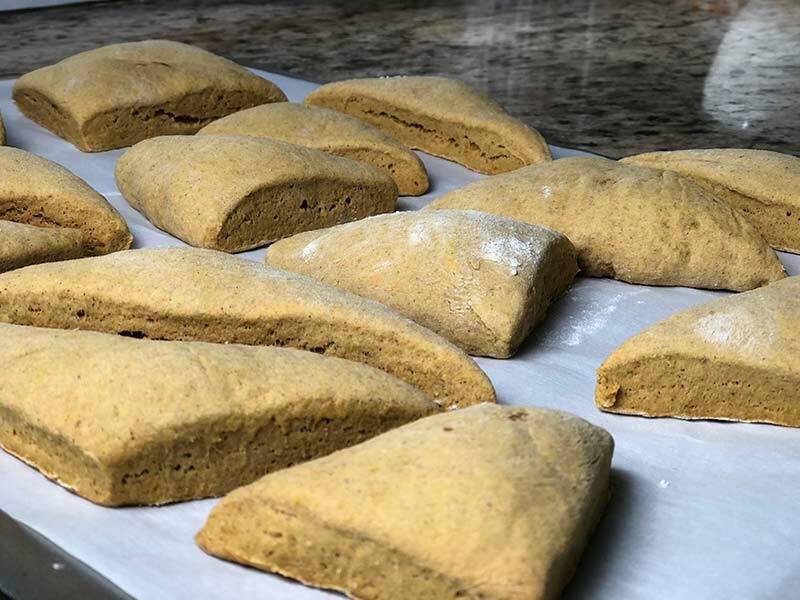 The shorter, printable version of this recipe can be found below, but read on if you want more detailed step-by-step instructions on how to make homemade pumpkin scones. First, take the stick of cold unsalted butter out of your refrigerator and cut it in half. Put both pieces into your KitchenAid mixer and beat with the paddle attachment on high until the butter is fluffy. You may need to stop the mixer a couple of times to scrape chunks of butter off of the paddle. Next, in a separate large mixing bowl, whisk together the flour, brown sugar, baking powder, baking soda, pumpkin pie spice, and salt. You may find that you need to mash up the brown sugar with your whisk in order to get it fully incorporated. Once complete, dump the dry ingredients into the KitchenAid with the butter and mix on slow speed to start, working up to medium. 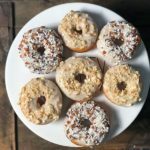 You will know the ingredients are done incorporating when you see little chunks of butter integrated in with the dry mixture. Then, in a medium mixing bowl, whisk together the pumpkin puree, half and half, egg, and pumpkin pie extract. This will form a nice orange mixture that almost has the consistency of pudding. Add the wet ingredients into the KitchenAid and mix on medium speed until the dough fully forms. Using a rubber spatula, scrape the dough off of the KitchenAid paddle and from the sides of the mixing bowl. Then, place the dough on a lightly-floured surface and sprinkle it with more flour. 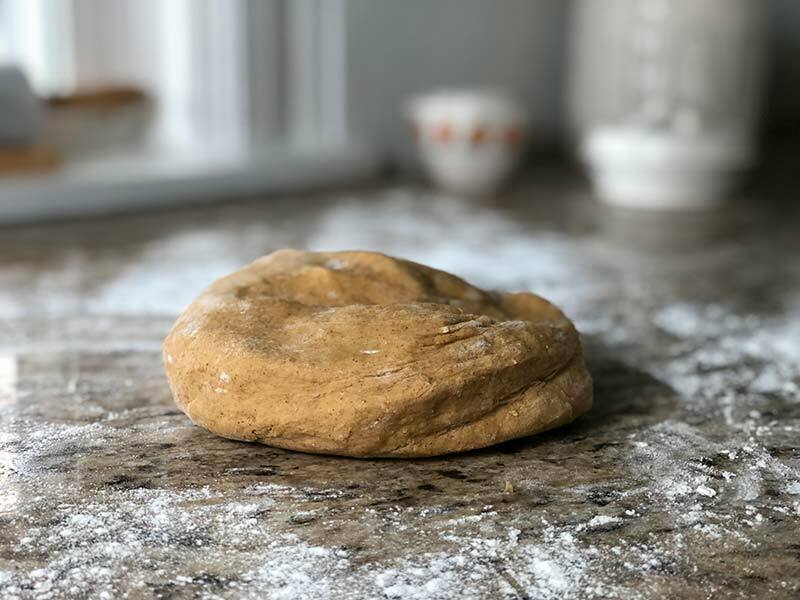 Begin kneading the dough, sprinkling the counter and the dough with more flour as needed until it is no longer sticky. 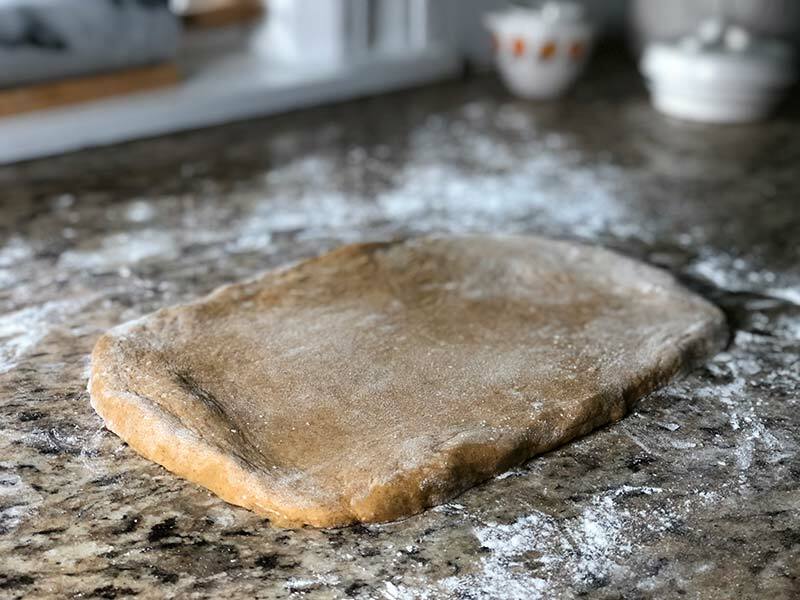 Once the dough is kneaded, you can begin rolling it out into an 11×7 inch rectangle. Use your hands to form the dough into this shape as you roll. 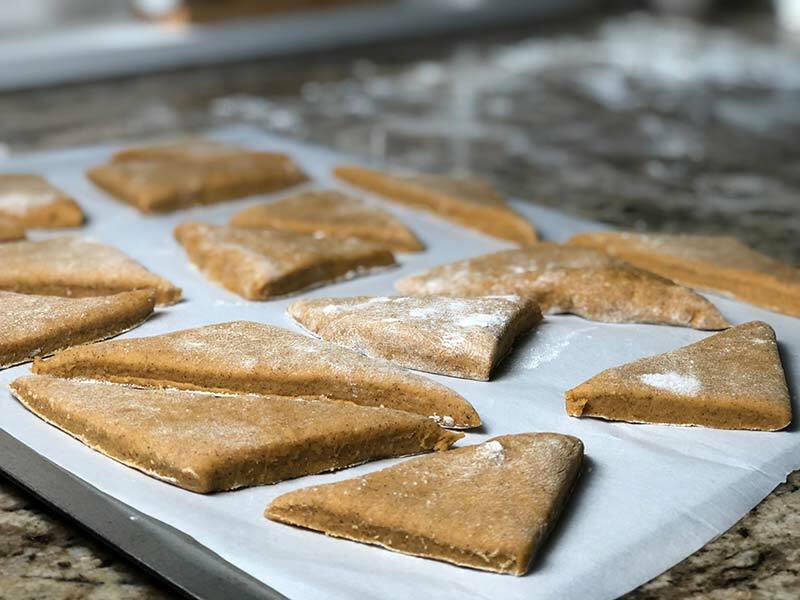 It’s also a good idea to continually rotate and flip the dough as you roll it out. You can use a tape measure to guide you as you form the rectangle. 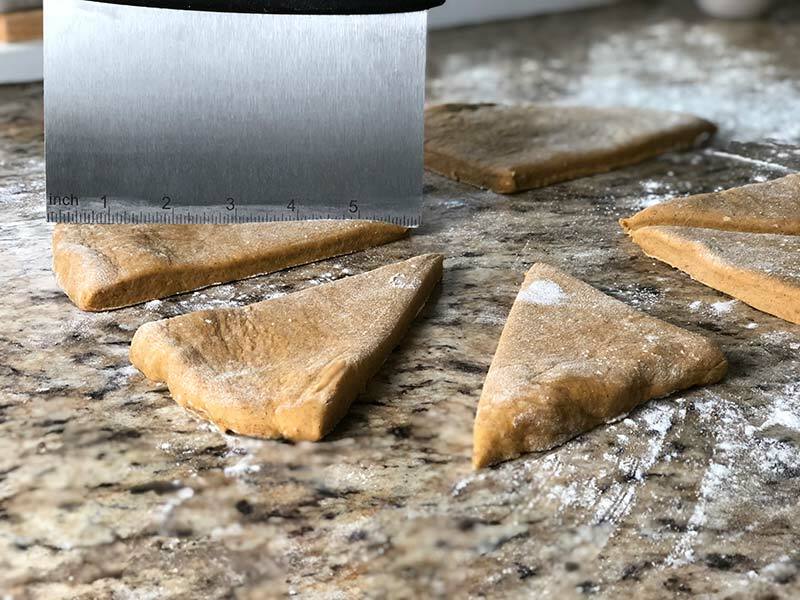 Using a dough scraper or knife, cut the dough in half down the middle. Then, cut each half in half—for a total of four pieces. Next, cut each of those pieces into two triangles, forming a total of 8 pieces. Finally, cut each of the 8 pieces in half to form double the number of triangles, totaling up to 16 mini scones. After a half an hour, place the baking sheet in the middle rack of your oven and bake for 10 minutes. You’ll know the scones are done when a toothpick inserted into the middle of them comes up clean of any dough. Let the scones cool for about 5 minutes before dipping them into the glaze. Pop the glaze in the microwave for 20 seconds, then individually dip each mini scone top-down into the bowl. Turn each scone clockwise a full rotation to ensure that it fully gets coated. Place aside and let dry completely. 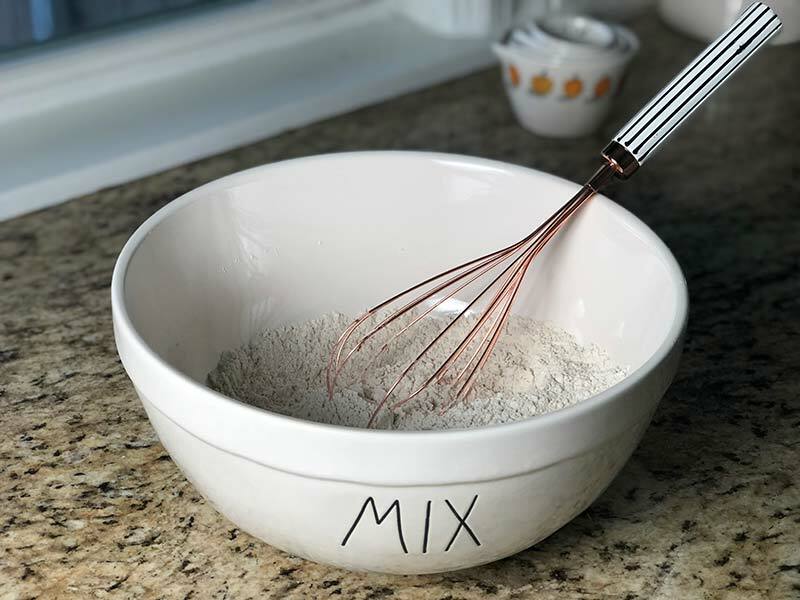 Whisk all ingredients together in a small mixing bowl. Right before adding the icing to the scones, microwave it for 10 seconds. 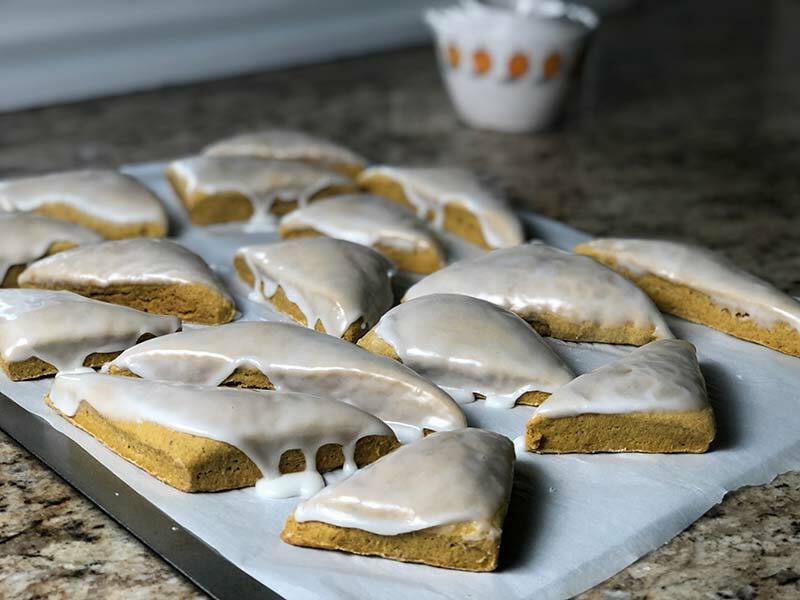 Next, use a teaspoon to stir the pumpkin icing and drizzle it back and forth in a zig-zag motion over each mini scone. Serve and enjoy! 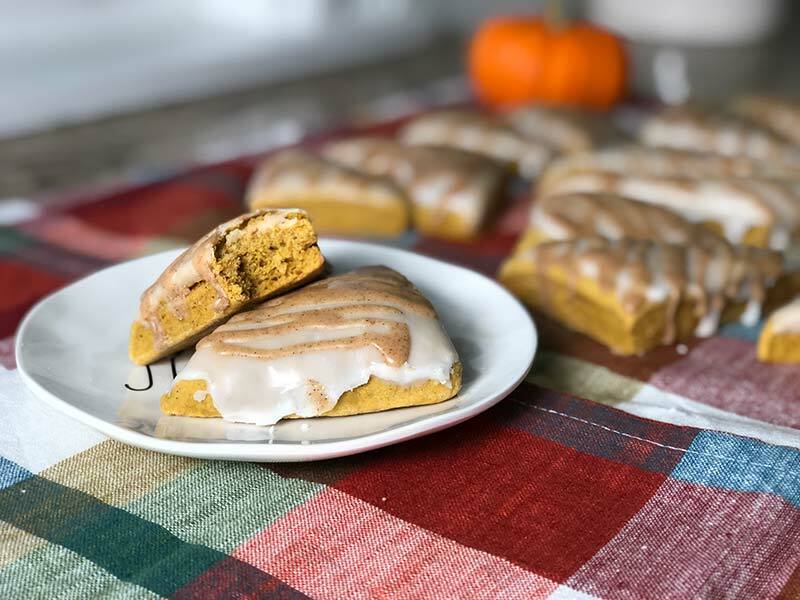 The fantastic news is that these mini pumpkin scones store very well. Once they are completely cooled, place the scones on a plate and cover it with tinfoil. Then, place the plate in the fridge. When you’re ready to enjoy the scones again, simply pop them in the microwave for 10-20 seconds. The reason why you don’t want to leave these scones out at room temperature is that the icing will begin to sweat. 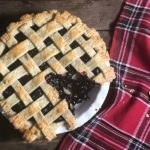 If you want to store the scones overnight to serve the next day, you can leave them uncooked in your fridge on the baking sheet until the next morning. Then, simply bake and frost them the next day as outlined in the recipe. 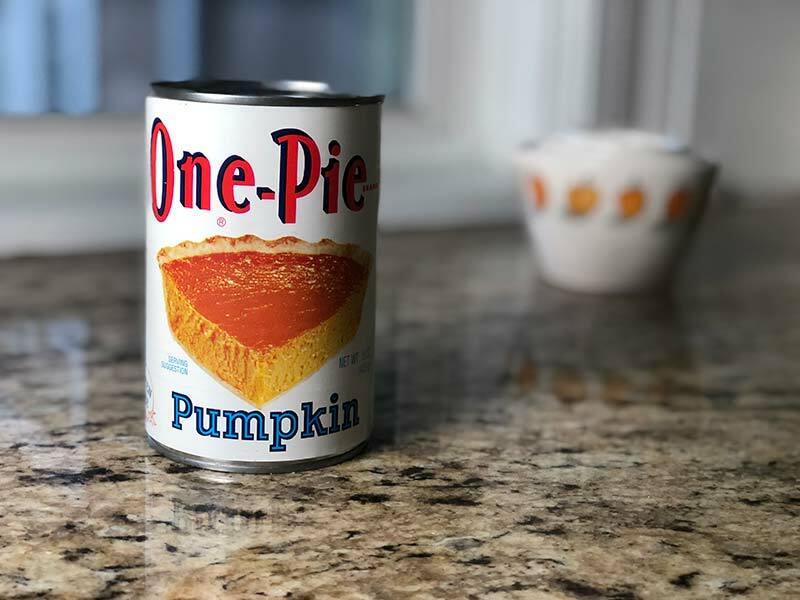 What do you eat pumpkin scones with? 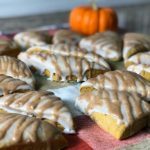 These mini pumpkin scones are absolutely delicious with a hot cup of coffee or a cold glass of milk. If you’re a tea fan, you may find that these pair better with a dark tea, such as Early Grey, than with a green tea. If there’s a particular beverage you love to pair with scones, let us know in the comments below. 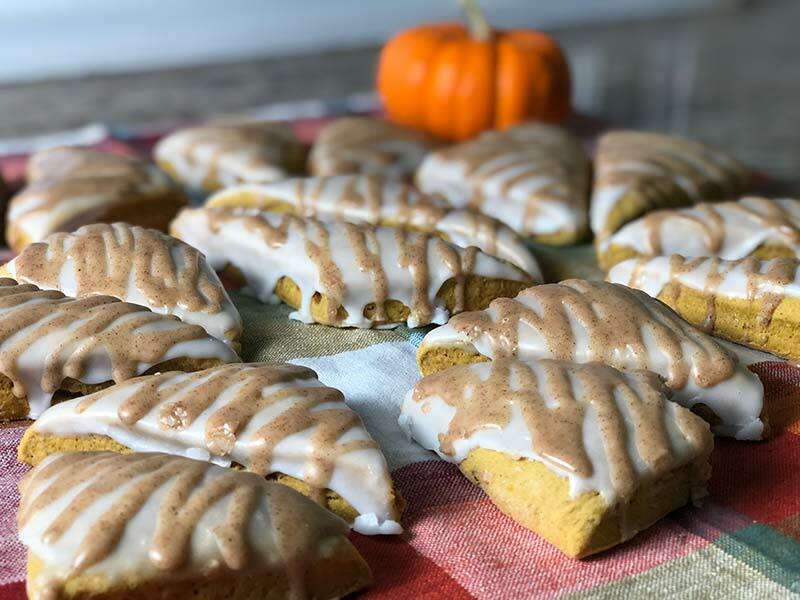 These mini pumpkin scones may remind you of the ones they serve at Starbucks, though you may come to find that you like these ones even better! Topped with two different types of icing, these scones are simply scrumptious. Cut a cold stick of unsalted butter in half and beat both pieces in a KitchenAid mixer on high speed using the paddle attachment until the butter is fluffy. In a separate large mixing bowl, whisk together the flour, brown sugar, baking powder, baking soda, pumpkin pie spice, and salt. Then, dump the mixture into the KitchenAid mixer with the butter and mix until you see small chunks of butter incorporated in with the dry ingredients. 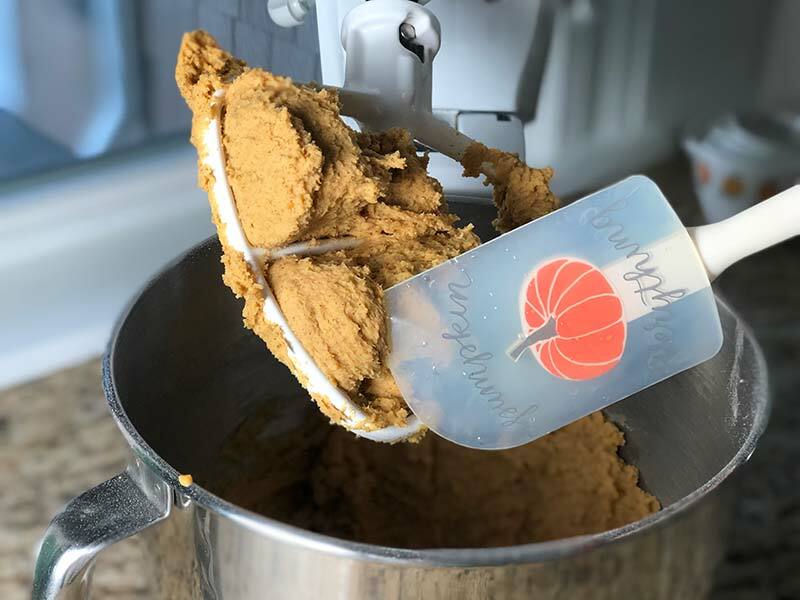 In a medium mixing bowl, whisk together the pumpkin puree, half and half, egg, and pumpkin pie extract. 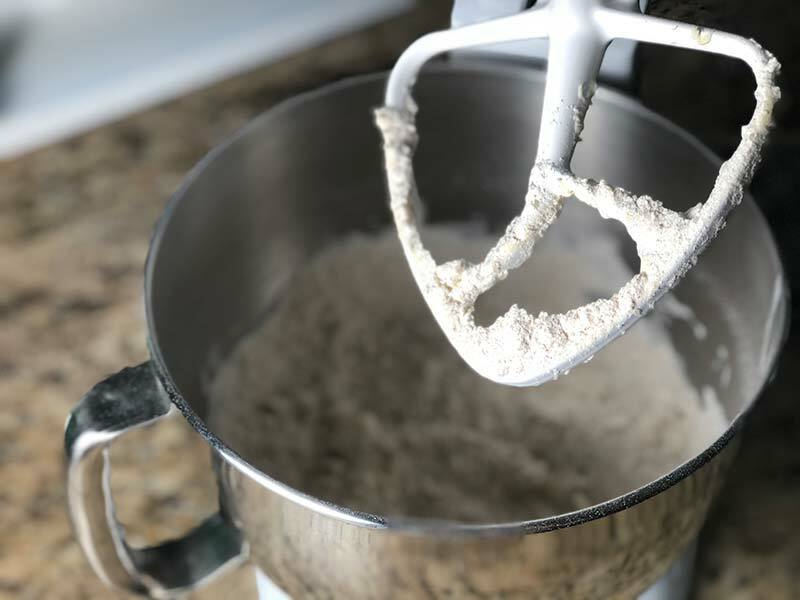 Add the wet ingredients into the KitchenAid and mix on medium speed until the dough fully forms. Once the dough is kneaded, you can begin rolling it out into an 11×7 inch rectangle. Then, using a dough cutter or knife, cut the dough in half down the middle. Then, cut each half in half—for a total of four pieces. Next, cut each of those pieces into two triangles, forming a total of 8 pieces. Finally, cut each of the 8 pieces in half to form double the number of triangles, totaling up to 16 mini scones. Line a baking sheet with a piece of parchment paper and place the mini scones on it. 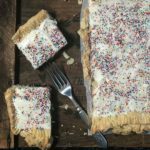 Then, put the baking sheet, uncovered, in the fridge for a half an hour. Preheat your oven to 400 degrees. Once the scones have set in the fridge for a half an hour, bake on the middle rack of your oven for 10 minutes. Let cool for 5 minutes before applying the glaze. In a medium mixing bowl, whisk together the powdered sugar and half and half. Right before you are ready to glaze the scones, pop the mixture in the microwave for 20 seconds. Individually dip each mini scone top-down into the bowl. Turn each scone clockwise a full rotation to ensure that it fully gets coated. 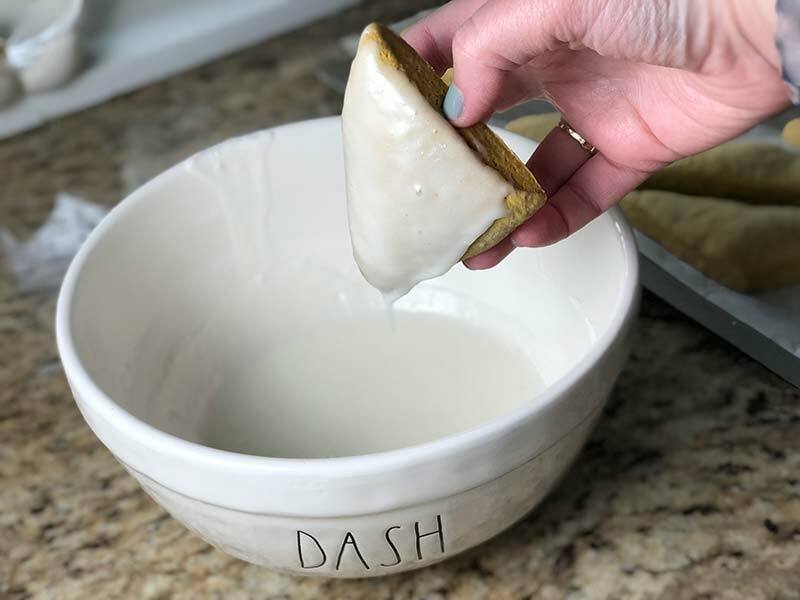 Place aside and let dry completely before drizzling with the pumpkin icing. 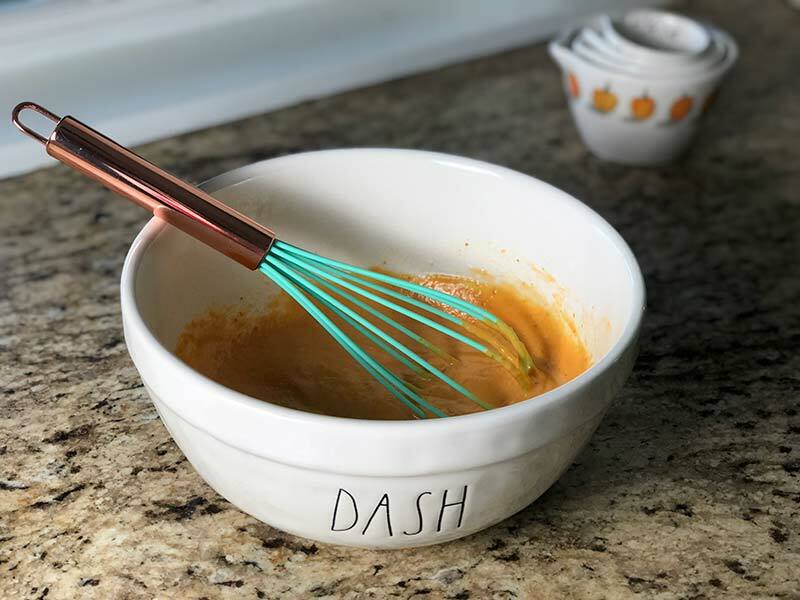 Whisk powdered sugar, half and half, pumpkin pie spice, pumpkin puree, and pumpkin extract together in a small mixing bowl. Right before adding the icing to the scones, heat the mixture up in the microwave for 10 seconds. Use a teaspoon to stir the pumpkin icing and drizzle it back and forth in a zig-zag motion over each mini scone.